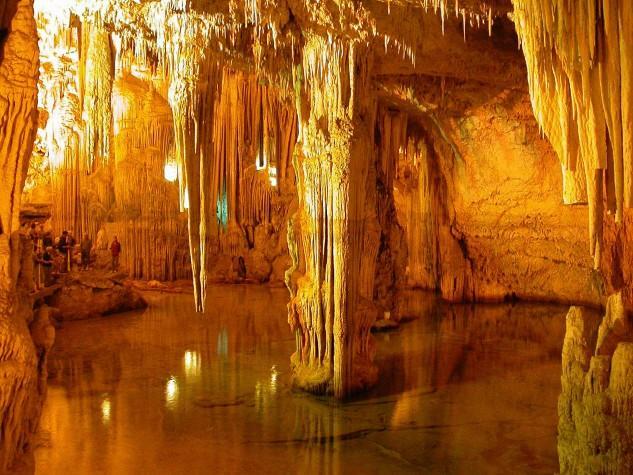 Here are some of the most spectacular Mediterranean Caves. Enjoy! 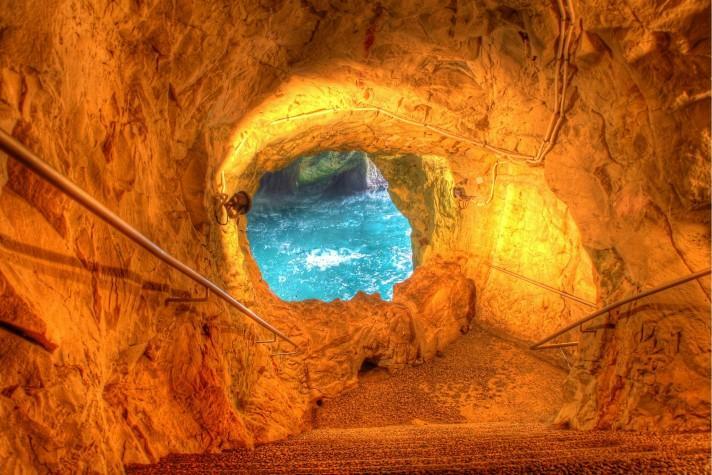 This breathtaking cave is located on the Greek island of Kefalonia. 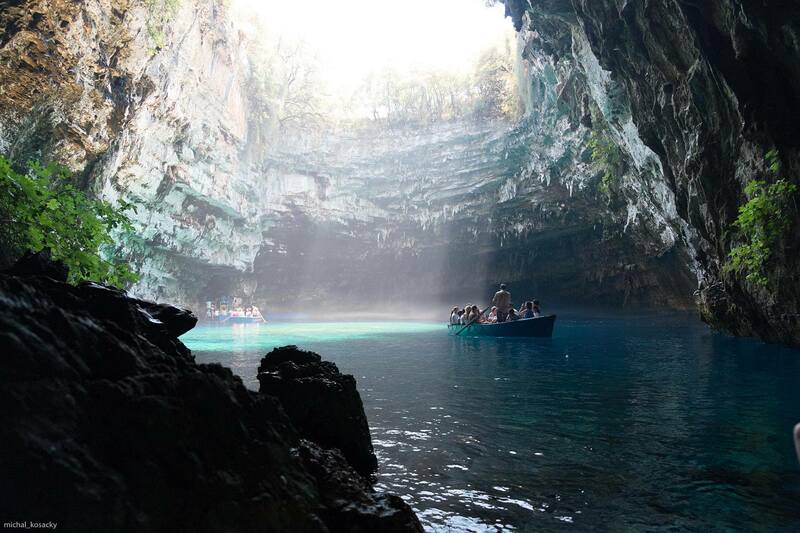 The underground Melissani lake was rediscovered in 1951, most of its roof has fallen down, creating this amazing place that today is visited by numerous tourists. There is a small islet on the lake, where it was found a female figure and various terracotta objects from the 4th century BC. 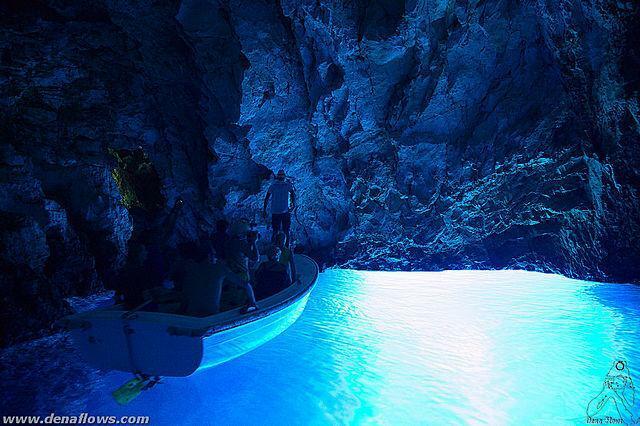 Situated on the small island of Bisevo, Croatia, this small but amazing cave was formed by the waves. It had only one entrance, but it was above the sea and the cave was accessible only by diving. So there was built an artificial entrance to the cave, big enough just for small boats back in 1884. Cave is famous for its shades of blue depending on the time of the day you visit it. Sometimes the light reflecting from the white bottom of the cave makes the water look silvery inside the cave. This amazing grotto located in Sardinia, near the town of Alghero was discovered by the Italian fisherman in the 18th century. 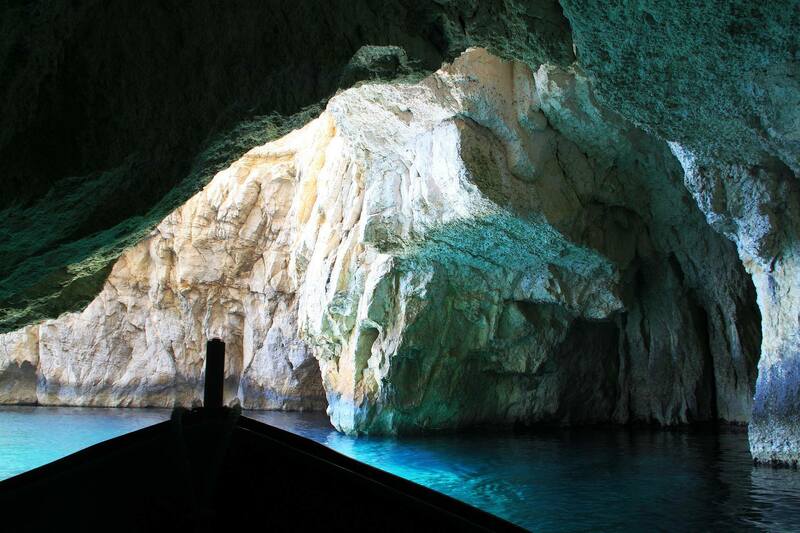 The opening of the cave is situated just a meter above the sea level, so if the waters are rough it can’t be visited. This small entrance opens up an amazing view on the cave with enormous stalagmites and stalactites and a 120 meters long saltwater lake. 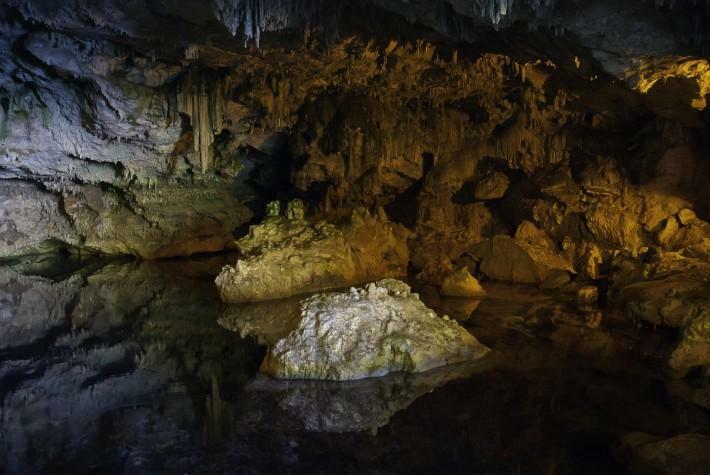 There are many small caves nearby, which makes the area a perfect place for all fans of scuba diving. This grotto was once home for nowadays almost extinct Mediterranean Monk Seal. Rosh Hanikra Cave is located in Western Galilee, Israel. It takes part of the Rosh HaNikra National Park. This cave is really a grotto formed of numerous caverns and tunnels formed by the sea. The cable car takes visitors down to the cave from the high cliffs. Blue Grotto is a popular destination for tourist visiting Malta, because of the breathtaking view from the cliffs above and all those spectacular shades of blue that you can enjoy by visiting the cave. It is located on the south coast of Malta, where you can find numerous other caves. Some scenes of the film Troy starring Brad Pitt were filmed here.